We welcome your interest in Fanwood Chemical, Inc. Established in 1971, we provide an unusual combination of technical marketing, direct sales, manufacturing and regulatory services. 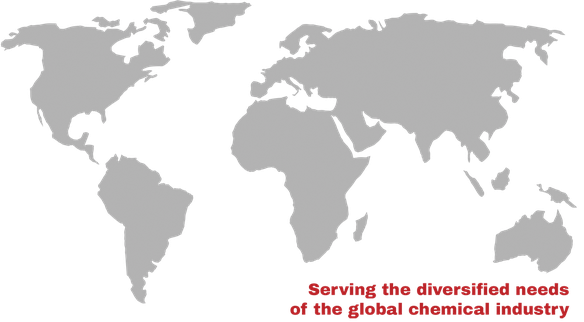 We are completely dedicated to serving the diversified needs of the chemical industry. Our activities have included all of the activities described in this website and more! We provide our clients personalized, confidential services for a per-diem fee or sales-related commission. We function on an exclusive basis against preset objectives over agreed upon time. We like to characterize it as “the Business Itch”. The "itch" is characterized by the gnawing suspicion that an asset is underutilized, a problem is brewing, or an opportunity remains unidentified. Downsized, you may be without sufficient staff to "scratch" yourself. Can we better employ underutilized equipment, plant, warehouse, or terminals? Do we lack market penetration or diversity of end uses? i.e. Are there additional markets for our existing or parallel products? Who is worrying about slow moving, obsolete, off-grade inventory? Are our byproducts and waste streams yielding a maximum return? Is there on-the-shelf technology which could be licensed or otherwise employed as a source of income? Have we identified the best sources and costs for the things that we buy? Do we have a complete understanding of the tariff and trade rules/regulations that impact our business? can provide prompt, effective, and economical relief for your particular "itch". In addition, POTPOURRI, our newsletter, which first appeared in 1973, is circulated to well over 1,000 people worldwide. It provides news of our activities and serves to publicize products and services currently offered for sale or sought by our client companies. We’d be pleased to add the names of principals to our mailing list. Please let us know whenever there is a chance we might be of service!